The Australian Melaan takes its name from its colour and what is thought to be its origin in a Saanen buck imported in 1943. The ‘Mel’ is from melanin or black pigment and the ‘aan’ is from Saanen. Thundersley Vanquisher, though white, carried colour and is famous for producing prize-winning Saanen, Toggenburg and British Alpine kids. He also produced black offspring that were mated with British Alpines. It is thought that Vanquisher carried the black gene from the black dairy breeds the Spanish Granada or Murcian. 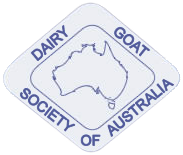 Solid blacks were first accepted as an experimental breed by the DGSA in 1995 and was named and recognised as a breed in 2000. Since then they have proven themselves to be a popular breed suited to Australia’s variable weather conditions. They are found from the sub-tropics to the far south of the continent. They are a particularly intelligent breed as well as being highly productive.